Just when you thought you had got rid of me, I have come across some more Jerry Melton photos of racing at a small Michigan track named Waterford Hills, these cover a decade from 1969-1979 and I enjoy his many, mostly B&W, photos and I enjoy presenting them with sometimes adding a bit of extra information along the way. These are mostly unheard of drivers but they seemed to enjoy having this opportunity to compete. The bigger classes were mostly American cars and the smaller classes were mostly British or Porsche. Even some of the cars in the parking lot were interesting. July 1969. Waterford Hills. Michigan. The smaller classes BS, D and E dominated by the British and Germans. Is that because America was not building anything smaller than a Mustang..except for the Crossley Hotshot? 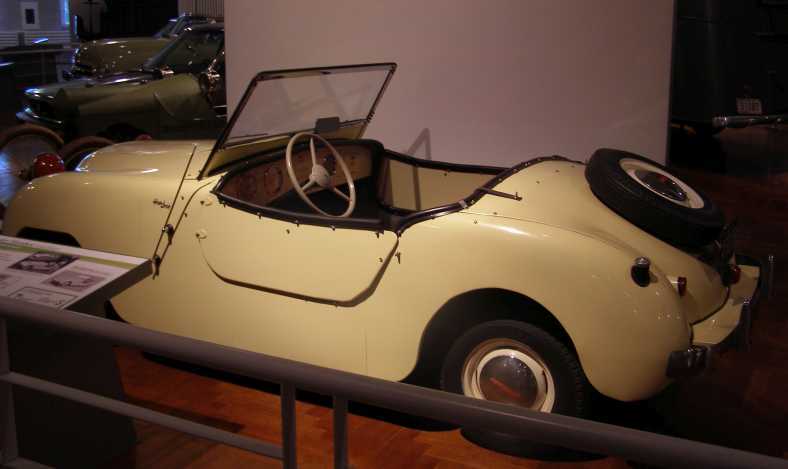 So Roger, what is the number on the first Healey 3000 ? With some white paint it could easily be 20 or 26 even 23. The car looks like it had had a bit of a rough life ! Maybe it's a rough attempt at '28'? Funny, I never considered the Austin Healeys to be 'big Healeys' until the 3000 came along. Corvairs were smaller than Mustangs, by the way, as were Falcons but not your average Valiant/Dart (225), Crosley Hotshots were long gone by the sixties. And while Corvairs were also out of production by 1969, I'm sure some were still racing. Then there might be a 4-cyl Chevy II, maybe a 4-cyl Tempest? At last, someone who gets Crosley Hotshots,thank you Ray. A little way across from the Ford-Ferguson tractor. eight " 8 " ..
a timekeepers nightmare .. it seems that some more tape needed. A bit like a digital clock the default number is Eight " 8 " .. It is no wonder the foreign makes dominated the small capacity fields in 1969 when the only US opposition would have probably been the 4 cylinder 153 cu. in. (2.51 L) engine Chevy Nova which was too big a size for those classes and was a slug and most of those engines were used in US Postal trucks to deliver the mail ! So I guess being competitive in small bore class racing was not of importance to US auto manufacturers in 1969. This C-2 Corvette Stingray had some difficulty at this corner as a Triumph TR 4 glides past. A Corvette and a Shelby GT 350 battle it out. Not a common sight on US tracks in 1969. As you say Ken...thats not a sight you see every day.,yet you must have seen many of them as the car was made for the lucrative USA market and not really for the ABBA home keepers.. It is actually spelled Sonett..translates from Swedish to English as ..its so neat. This will be a Sonnett 2 with the power bulge in the bonnet to accommodate the V4 1600cc from the Ford Taunus. Last edited by John McKechnie; 04-14-2019 at 07:51 PM. The Saab Sonett # 97 seemed to be able mix in well with the others including some specials. This CSR special looks like it is Lotus Seven based. This is a neat little DSR class special perhaps based on the previous Kawasaki engined special. This is a Devin Special with some added information.
" Just when you thought you had got rid of me " your comment from several posts ago on this thread. Ken H, please don't go. we need your " inputs " !! PS ; love that Devin SS too !! PPS going to borrow those AH photo's and probably a TR or Two,Too !! PPPS ; as mentioned on the Car Show thread - Moss Motors had a stand at the LA Car Show recently - were you there ? This TR6 was on the stand. This car was also there -Jay Leno owns it !! Last edited by Roger Dowding; 04-16-2019 at 05:51 AM. I sometimes feel that I take up too much TRS space so I slowed it down a bit but then I need my "fix" and start up again much to the despair of some of my workmates who see me on TRS during the day! I also did not go to that LA car show although that TR6 is just in the next building as they try to sort out some running gremlins. Your inputs and humour are also appreciated.